Co-owner, CEO and trainer at Expedition Project Management. 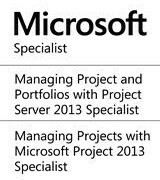 Microsoft Certified specialist and trainer. Participation in a variety of projects to implement Microsoft Project. Experience over 13 years in IT. Including 5 years in the field of project management. Co-author of the practical training Education-By-Expedition. 2011-now Co-owner, CEO and trainer at “Expedition Project management”. 2011-2012 Co-owner at “SM Integra”. Automation of workflow based on Microsof SharePoint 2010. 2014 Implementation of CRM. Customer: Almazergienbank. 2014 Implementation of CRM. Customer: Gazprombank Invest. 2014 Implementation of CRM. Customer: Donstroy. 2012-2013 Implementation of electronic document management system based on MS SharePoint 2010. Customer: Farlep. 2011-2013 Implementation of archive of electronic files. Customer: PJSC “Prominvetsbank”. 2010-2011 Developing solutions for MS Project 2010 and MS SharePoint 2010. Customer: OTP Bank. 2009-2010 Developing of HR portal. Customer: Bank Forum. 2007-2009 Automation of banking systems. Customer: Bank Forum. 2005-2007 System administrator, network security specialist. Customer: Several companies. 2014 Extended course at Red Cross “First Aid”. 2013 Training for managers “Triada management”. 2013 Thomas System Management. DISC testing and PPA understanding. 2013 Special course to prepare for PMP certification “Preparing for PMP Certification”. 2013 Extending knowledge about PMBOK “Applied Project Manager”. 2011 Training for Microsoft SharePoint 2010 developers. 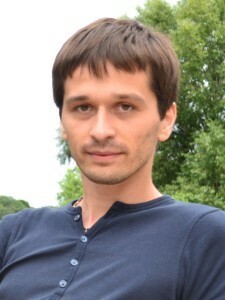 Oleksandr participated in many projects, especially at the financial and banking sector, aimed at automating the organization’s activities, including project activities. Used to be a project manager of the international project with a distributed team. The project was successfully completed thanks to a systematic approach to management using PMI standards and tools Microsoft project tools. Together with Anatoly Savin developed a methodology “Education-By-Expedition” and continues its improving. Actively developing add-ons to extend the functionality of Microsoft Project.